TowLawyer.com is the “Legal Zoom” of the towing and transportation industry. 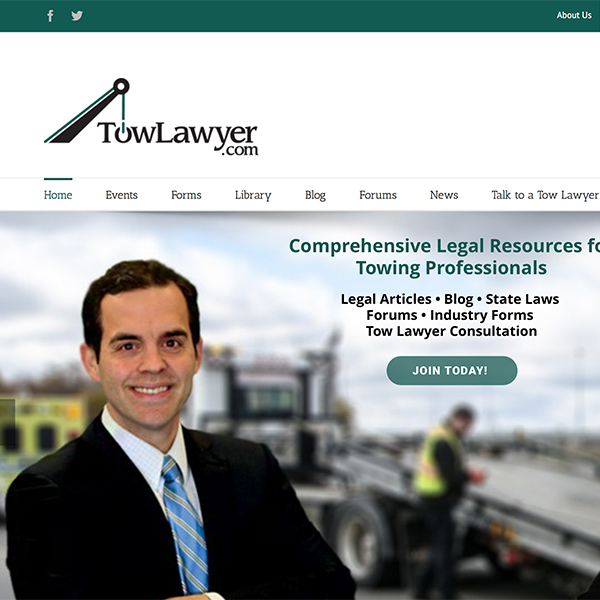 Create an online legal resource for the towing and transportation industry. Provide digital downloads of legal documents and build a community for industry legal discussion. Membership site with monthly and yearly recurring memberships. Delivered a complete online business generating recurring revenue through the sale of digital assets. Achieved #1 ranking for organic search results on Google for all relevant search phrases. TowLawyer is an easy-to-maintain platform the attracts and retains customer through continually updated content and ease-of-use.